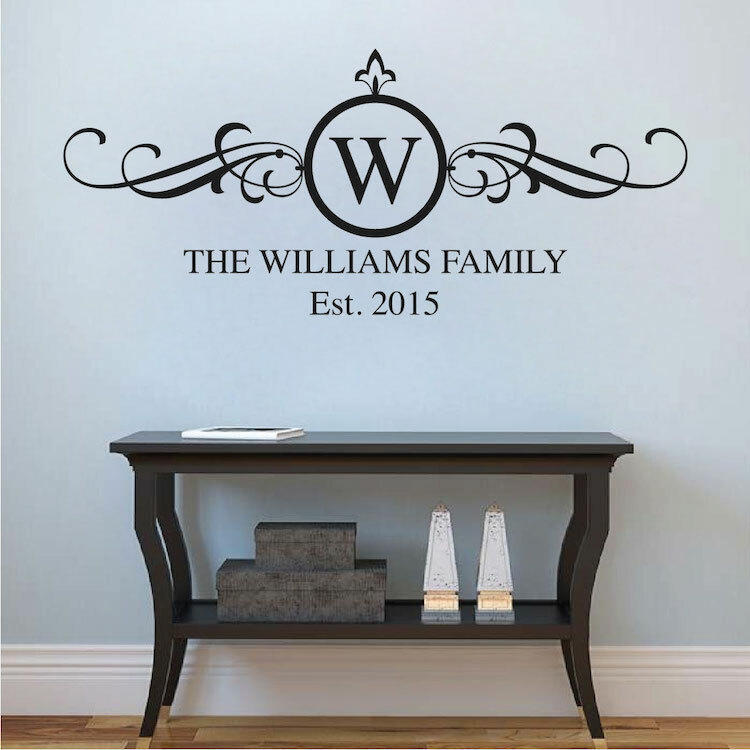 5"x12" 7"x16" 10"x23" 15"x36" 23"x54" 34"x80" 40"x93"
Personalize your home, nursery room, front door, mail box or office with this custom name decal appique. 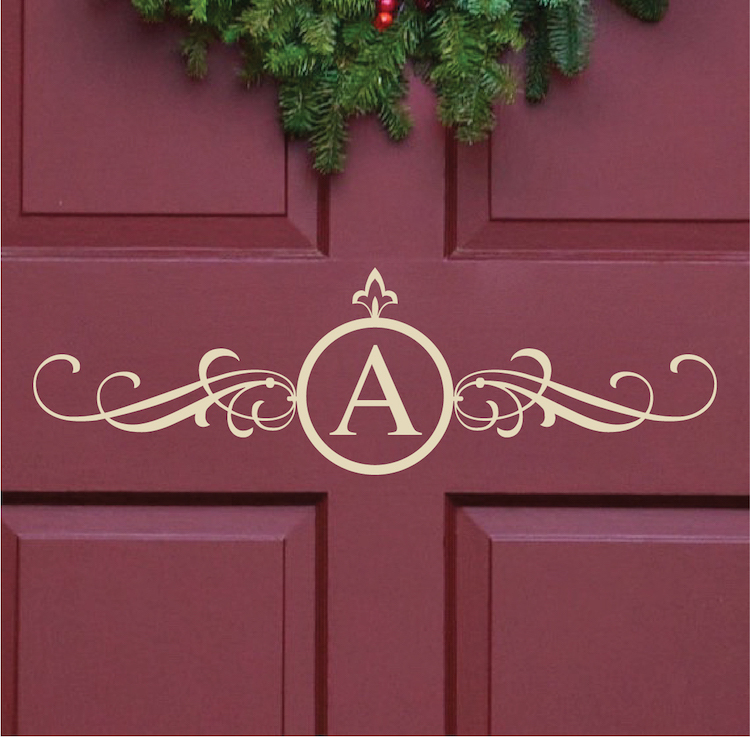 Type your last name and established year (optional) in the appropriate box. 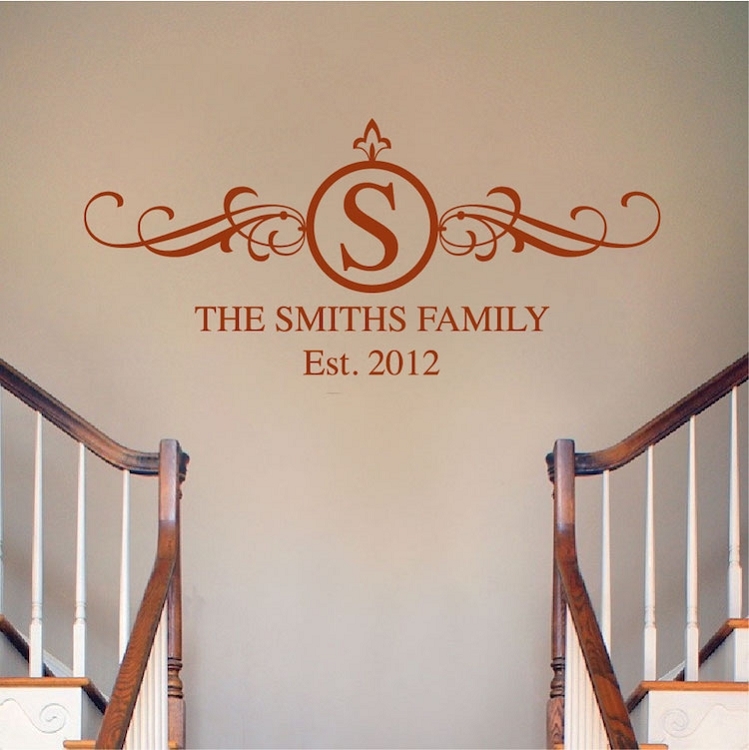 This custom name decal is great with or without the text under the big initial. Sizes are measured for the whole decal assembled as shown. 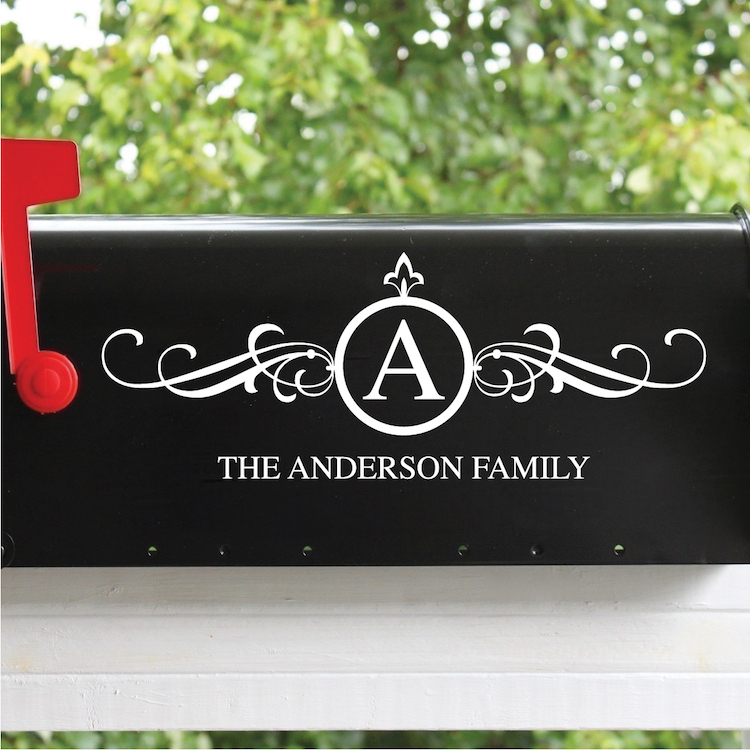 Smaller sizes are ideal for mail boxes or front doors. I placed an order for an item that I had planned to put on the side of a bookcase. This meant that it had to be smaller than the smallest sized offered. Someone from Trendy called me to talk about the specifics to make sure I got exactly what I needed. They even sent out some color samples so I could be sure of the color. I felt that they truly cared about my satisfaction and I sincerely appreciate their efforts. I will definitely be ordering more in the future. Thank you!